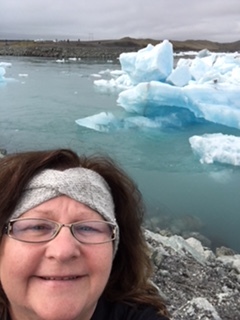 This entry was posted in 2018, Joan Shea-Rogers, NOAA Teacher at Sea and tagged Bering Sea, fisheries, introduction, NOAA Ship Oscar Dyson. Bookmark the permalink. Joan you are going to have a great time on “The Dyson”! I am just finishing up my time here as the TAS. You are going to learn so much and really enjoy your time on the ship. I’m sad I won’t get to meet you during the transition, but I wish you the best of luck and happy sailing! Thanks so much for the well wishes! It is such a great experience and I am enjoying each moment! Hi Joan! So happy that you are a part of this wonderful learning experience! I was so impressed with your past experiences in your personal log! I never knew about your fishery science background! Take care, take pics, and enjoy! Thanks Natalie. I hope to do some lessons at Matheny-Withrow about this experience. I am learning so much it will be fun to share. I understand why you were selected. You are so well qualified! I look forward to following your blog. Thanks so much Jennifer..It is proving to be such a great adventure!